I am a teacher educator and a literary translator by profession. My teaching profession took its roots two decades ago when I was first appointed as a primary teacher in the government-aided school in a remote part of Gorkha. I joined this profession before I was ‘professional’. I was qualified to teach simply becauseI had an academic certificate of Intermediate Proficiency Level in English Education and I could teach or say ‘tell’ my students what was written in the English textbook. I have not strayed from this profession ever since my first appointment. However, my changing of institutions has been rather unpredictable and whimsical. During this professional life I ever wished to be intimately closer to ‘someone’ more experienced, more supportive, more understanding under whose guidance I could learn the science of teaching, feel its art in the actual classroom, and who I could turn to whenever I needed counseling on my profession. However, that ‘someone’ never turned up in my teaching career save the university teachers who observed and supervised my lessons during peer teaching, school teaching and campus teaching during the practicum. That was Okay, I call it ‘just Okay’, since the purpose was to fulfill the requirement of examinations; the process was too mechanical; the feedback for further improvement was too ritualistic. I could have grown differently in the field had I got ‘that someone’. I sense that many of the pre-service teachers who I have been teaching are also longing for ‘that someone’. ‘That someone’ who I have missed in my professional life is dubbed a mentor.The me-like person who wishes to learn under ‘that more experienced one’ in the field is dubbed a mentee. The process whereby the mentor supports the mentee to grow in the field is mentoring. I come up with certain reasons when I ponder over why I longed for mentoring and why I mentor my students these days. In my observation, this is a widespread longing in Nepal. Diversity implies the state of being diverse in forms. It is the state in which multiformity exists because of co-existence of multiple, yet interconnected forms of the phenomenon. Diversity is a reality in the English language classroom, particularly in the contexts like ours, where the classroom houses teachers and learners both from diverse linguistic, cultural, geographical, economic, and social backgrounds. Second language learning and teaching theories regard diversity as the reality of the classroom. Without delving into theories and research works that abound the field of teaching English as a foreign or second language, I would like to present different dimensions of diversity, most of which I have noticed in my own classroom. I interpret diversity along the dimensions of language and culture, and cognition and creation of students. An unreflecting mind is a poor roof. Creativity in ELT is an elusive concept with multiple interpretations. It has been one of the most verbalized and sought for but least realized and materialized concepts in the ELT context like ours. The reasons can be many. Some are i) the fallacy that creative writers are born not made ii) the practice of imitation and repetition deeply rooted in our mainstream education iii) the unreflective culture i.e. do and forget” iv) the culture that unduly gives priority to security in the examination achievement, which obviously discourages the experiment in teaching and learning, and v) the education culture that feeds itself into borrowed metropolitan experiences devaluing our own context-generated experiences. English language teaching can never be appropriate, context-responsive and context-sensitive unless we integrate elements of creativity and ‘criticality’ into our teaching learning practice in all dimensions. Creativity needs not only insights but also experiences. Experiences need to be experimented in different forms which call for interaction amongst ELT practitioners. Interaction needs space. The conventional space for creation and interaction that we have been relying on is the print media. The conventional space available in the print media is both limited and limiting. An alternative as well as a complement to the conventional space can be cyberspace, the focal point of this issue. Creativity calls for action and critical reflection. Most importantly, components of creativity and criticality should be valued from the lower level itself. Creativity is not something that erupts out of blue once our students reach a certain level. By nature children are creative and critical as De Bono (1972) remarks “a child enjoys thinking. He enjoys the use of his mind just as he enjoys the use of this body as he slides down a helter-skelter or bounces on a trampoline”. De Bono further notes that “children solve problems effortlessly. Their ideas may often be impractical, but they produce them with fluency, a zest and irrepressible imagination”. Let us capitalize on their flight of imagination, agility, insights to usher their everyday learning of English in the productive land of creativity. Creativity should be incorporated in major pedagogical dimensions: i) English language teacher education; creativity in the English classroom begins from teachers themselves, ii) Resources; teaching-learning resources should give ample space for learners’ critical perspectives and creative expression, iii) Assessment; assessment of learners’ achievement should be creativity-driven, not fear-driven. I quoted from the Dhammapada, “the unreflective mind is a poor roof”. Critical and creative teachers not only act but also reflect on their actions. At the same time, they encourage their students to do the same. The teachers who do not reflect on what they did, why they did, what they did, how it went, and what its impact was on their students’ learning, are like a poor roof. Such teachers cannot collect insights and knowledge from their experiences, no matter how many years they teach. In this regard, Jeevan Karki, an English teacher from GEMS, takes us to the self-initiated experiment in his English classroom. He reflects on how he acted relentlessly to explore creative treasure deep buried in the young minds and to unleash it. Since the human mind is ruthlessly pragmatic, i.e. purpose-driven, the students should be made clear why they are writing and with whom they are communicating their ideas. For this the writer offers an option of publishing their works in the class magazine, school magazine, local and national dailies, and the best alternative to all the print media that he offers is a webzine. Most of us dream of novelty in our teaching and of creativity in our students’ performance. But we often work individually. Prerequisite conditions for the materialization of these individual dreams are collaboration and communication, self-motivation for bringing about a change, passion for professional change, and compassion for our students. Advocating for and experimenting with the inductive approach to creative writing, Jeevan’s approach is exploratory, interactive and authentic. Sagun Shrestha, a budding creative writer both in Nepali and English, shows how we can exploit cyberspace to help our “students learn more, create more and communicate more effectively” (Richardson, 2009). It’s important that we teachers understand why creativity is so important for our students. The takeaway from Sagun’s writing is that creativity is an action verb not an abstract noun. First those who preach it should engage themselves in the action. The teachers should be able to tap into the Internet for “creating relevant, interactive learning experiences in the classroom” (ibid.). Kamlesh, a young teacher from the Terai belt, reflects on how he learned two different tongues in his school and how his mother tongue Bajjika served as the zone of contact with the both. He raises a crucial issue to be taken on board by teachers of young learners in the multilingual classroom. The issue is the strategic choice of a language other than English. The judicious use of mother tongue is permissible is what was accepted by Richards and Rodgers. However, when the teacher uses a particular language other than English in the multilingual classroom, the question is– Whose mother tongue is he using? His or his Students’? I often had the similar experience while teaching in one of the schools in Kathmandu where the majority of the students spoke Newari as their first language, not Nepali. Whenever I had to explain something difficult in ‘the mother tongue’, or translate into, obviously I would go for Nepali, my mother tongue, not the tongue of the majority of the classroom. Khem Raj Joshi, a teacher educator from the Central Department of English Education, deals with one of the modes of interaction between teacher and students in the form of feedback. It has an appeal to those who are nurturing young minds. Dealt mostly from the theoretical vantage, the teachers of young learners have to be very careful, especially while providing them with negative evidence. However, his use of ‘deviant forms’, native-speaker versus non-native speakers’ needs further critical observation. The last entry for November issue is a resourceful link, which is very useful for teachers of young learners. It offers free downloadable and printable resources/activities for teaching English to young learners. Now I have three requests to make (1) Please share what you read and like. (2) Please leave comments to encourage writers and (3) Please join the conversation by writing new entries for future issues of Choutari. Finally, I’d like to thank all contributors, my friend Sajan Kumar with whom I have been sharing my ideas and getting insightful feedback, and also Praveen for his relentless technical support. De Bono, E. (1972). Children solve problems. UK: Pegnuin Education. Osho (2013). The Dhammapada: the way of Buddha. Kathmandu: Osho Tapoban Publication. Richards, J.C & Rodgers, T. S. (2002). Approaches and methods in language teaching. Cambridge: CUP. Richardson, W. (2009). Blogs, wikis, podcasts, and other powerful web tools for classroom. California: Corwin Press. am (I’m) missing u a lot especially when the english periods go no quite monotonous. anwy (anyway) am f9 (fine) n doing gud. hope u r also f9 n u know wt(what) sir i started writing poem frm grade 10 n till date i hav completed 50 poems. shocking na!!!! n sir i would really lik to thank u as u inspired me to write the poems. eventhough that time we didn’t use to write bt (but) with the passage of tim i also got the knowledge abt why u were so eager regarding student’s creativity. all the credit goes to u. thank u so much sir! I received this mail on July 20, 2012. The sender by now is obvious. She is one of the students I taught in grade eight, two years before the date mentioned above. I used to teach her both English language and literature. In the parents-teachers meeting, the parents often used to complain (and still do) about their children not being creative and just cramming overnight for exams. Most of the time, we teachers keep the issue of creativity aside by telling them it is the matter of innate quality, hard work of students and support of guardians. Blah, blah, blah. However, the kind of activities we do in the classroom and the sort of home assignment we assign also have something to do with students’ creativity. Soon after the parents-teachers meeting, a three-week winter vacation was going to kick off. As a vacation work, this time I thought of assigning a bit different work rather than telling them ‘do exercises from page number this to that’. I gave them some reading work and creative writing. As for the second one, they were supposed to come up with some kind of free writing such as poems, stories, songs, travelogues, essays, diary writing (memorable days), etc. First, they looked puzzled, for they were not used to this kind of assignment. So I gave them guidelines to write and also declared that best writings would be sent for newspapers in order to encourage them. The vacation was over. However, I was not very hopeful that everybody would bring their assignment. To my surprise, everybody brought some writing. Some even brought two writings. I went through them in my free time and found most of them original and creative. Now I was in trouble. As I promised, the writings had to be sent to the newspapers but there were too many. Then I decided to publish a class magazine and shared the idea. Then, I divided the responsibility, making sure that everybody is involved. They worked with their group members in their free time in school and at home without disturbing their regular studies. After a month, each class had their own mesmerizing wall magazine. The parents were pleased to see the outcome in the final parents- teachers meeting and the school administration also took the effort positively and published that news in the school news bulletin too. It could also be one of the reasons that I got a promotion the next session. However, I did not wish to continue working there because I got a better opportunity in another institution. In the next institution too, I pondered some better ideas of developing creativity of these young minds through free writing. In place of a wall magazine I was thinking of other reliable and long- lasting alternative, which could also include young students from other schools. However, the session was towards the edge without materializing any concrete idea. There was one creative colleague, who belonged to computer faculty, Mr. Krishna Subedi. He is also a web designer and developer. I talked to him and finally we decided to do something on the Web. Then we launched a website or webzine on May 2012. We named it merocreation.com. We started this small venture for giving young creative minds an open creative platform with the motto “encouraging and energizing the young creative”. Initially, only two of us used to work. Mr Subedi looked after technical aspects while I devoted myself to the content area. We started with the creative writings of the students of our schools. Later, the visitors multiplied and we started receiving the writing from other institutions too. We kept modifying and beautifying the site but because of the overflow of the visitors only we two could not handle it. So we developed a team of thirteen members, including an advisor. It was after two months of the inception of the webzine, I received the above mail from Sakshi. The mission of creative writing has kept me in touch with so many old students, including Sakshi. There is a boy named Samyam Shrestha, who published few stories in the webzine (he had published not a single story anywhere). His stories are mostly read and liked by the visitors. He mailed me around six months back and said that he wanted to publish a story collection. He is an eleventh grader now. There is another girl named Reeti KC from the same level. She is very good in poetry and has published many poems in the webzine and also in the national newspapers. She mailed me recently stating she has made up her mind for publishing a poem collection and asked me to edit it. It shows that something is going on. Something is happening. The webzine has been grooming these young minds and providing them with an interactive platform. This is also a part of language teaching; language teaching through creative writing. How to accommodate creative writing in the language class? It is a frequently asked question by language teachers. They say that they have to complete the syllabus, focus on exams and all students expect good grades. Therefore, there is no time for creative writing. Please do accept that I also have the same problem like yours. We are the birds of the same feathers. Despite all these things, it is possible to accommodate creative writing in the language class. The first and basic thing is to be self-conscious about our students’ creative writing. When we assign them any writing, we have to make sure there is an adequate space for creativity. Whatever students do and write, we can give it a creative flavor. I call this process an inductive approach to creative writing. Here the teacher gives students the usual class assignment or home assignment, but it is given consciously having space for imagination, logic and noble ideas. Then when students submit the assignment, the teacher has to check the writing through the lenses of creativity. As per the feedback, the teacher can point out the area where the juice of creativity and elements of imagination, logic and noble ideas can be incorporated. Also, they should be asked to re-write so that their writing is publishable somewhere. Let’s take an example, how we can change letter writing into a creative activity. Suppose, I am teaching students of the lower secondary level to write a letter to their brother or sister who is addicted to social networking sites. The letter can include some constructive suggestions to minimize the habit of always hanging on the sites and also the ideas of using social networking sites for educational purposes. If the letter includes these things, it will be an informative article for many people and hence it is publishable as a creative writing. However, the ideas need to be practical and the language needs refining. Here comes the role of a teacher. There should be discussion and brainstorming before assigning such an activity. After they write, the teacher can ask students to read each other’s writings and offer feedback. Similarly, he or she can also form a group of more-able students as the editors of the class. In the first phase, they can help the teacher to sort out the writing then the teacher can go through them. This will develop a habit of learning in collaboration, a sense of responsibility and togetherness in the language class, which after all will minimize the teacher’s burden. Similarly, if I am teaching letter writing to students of secondary level, it is not necessary I always teach them to write letter to their fathers for asking pocket money and so on. I can also teach them writing letter to Prime Minister regarding how to stop corruption in the country. It will be a highly creative writing and publishable in the newspapers, webzines and other magazines. The same technique can be applied to other types of writing like paragraph writing, essay writing and so on. To the same token, in a bit long break, we can give students the writing tasks which are creative by nature like poems, stories, essays, travelogues, songs, book/film reviews and so on. In my case, in the vacation like term break, Dashain-Tihar vacation, winter vacation, I assign them to read novels or story books and write their own reviews (applicable especially for the secondary level). In this way our students do creative writing without being much conscious that they are doing it. That is why I call it the inductive approach to creative writing. Without telling anything like, “Okay class, today we are going to do CREATIVE WRITING…!” we can engage our students in creative writing activities. However, the continuity of this process depends on teachers’ readiness and reward. As per the first one, as you are reading this article, it is sufficient that you are ready for students’ creative writing and now it is the second one to think of. It is very important that students be rewarded for their creative work, and the most valuable reward for them is publishing their work in magazines or webzines. I said that the publication of students’ creative writing is the best award and it is true. There is a girl in my class, who is very good in her study. Seeing her friend publishing articles in the newspapers and magazines, she also sent some but they never got published. She got frustrated and never tried again. Then she stopped writing completely. I came to learn about that and asked her to show her writings. I checked them, gave some feedback and asked her to rewrite. She did and it was published in the webzine. The publication of her article sparked a wave of euphoria in her and she resumed her writing. Now she often writes and publishes. There might be many hidden potential young minds not getting a suitable platform. Of course, there are newspapers and children magazines, which publish the creative writings of students but they are few and have to look all over the nation and hence cannot give space to all children. So we need to look for an alternative. In order to promote language and creative writing, we can publish school magazines giving space for all the students in school. Similarly, we can also publish the class wall magazine, which can give space to more students of a class. I tried these and found them only being confined to school and failing to be long lasting. Then I started this webzine, which has multiple advantages. Students can get their writings published instantly. It has global access and the writing can be viewed anytime from anywhere. Students can also share it with their relatives who are in another corner of the world. Similarly, another important thing is it is highly interactive. They can get instant feedback from their readers. In this forum, they can find so many like-minded young people writing, publishing, reading and commenting each others’ work. This will give students a creative and productive environment. All these things will encourage them to keep writing. However, they do not find all these facilities in the print media. In the same way, students (especially from the town area) today spend their time surfing the Internet rather than going through the printed materials. So this is also an attempt of developing a culture of doing academic activities in the World Wide Web. It is undoubtedly a great platform for developing language and creative writing among young learners. However, it does not imply that all English language teachers need to have their own webzine. If you can have, that’s superb. If it is not possible, you can try the alternatives discussed above. In the same way, you can consider this webzine as your own and send the writings of your students to publish there or encourage them to send themselves. As being one of the content editors of the webzine, I suggest teachers that they read the writing of their students and give feedback before sending for publication. Spending some time in this webzine will help students develop their language and creativity. Besides creative writing, they also can find some useful academic and non-academic resources in this webzine. This is purely an academic and creative mission; a mission to develop language through creative writing. We are trying to teach language to our students but now let’s also try to teach the creative use of language. Let’s teach them to play with words and learn art of words. Children have a lot of energy and ‘crazy ideas’. They are highly imaginative. Let’s provide them with some scaffolding. Let’s convert their energy and ideas into creativity. Merocreation.com can be a forum to groom young and creative minds to be a creative citizen of the globe. So let’s join our hand together in this mission. Finally, I’d like to express my gratitude to Mr. Subedi, Kigan Khadka, a web designer and developer, and all team members: Akrin Adhikari, Jeevanpanee, KP Ghimire, Kumar Narayan Shrestha, Megh Raj Shrestha, Ranjana Khaniya, Richa Bhattarai, Sanjaya Karki and Upendra Subedi for their support and inspiration. * Jeevan Karki teaches at Graded Medium English School (GEMS), Lalitpur. His areas of interest include creative writing, translation and documentary making. Creativity is all about connecting and synthesizing. Maybe the process that takes place needs a little more of innovation. Put simply, it is a way challenging oneself by transforming and unleashing the forces and ideas within. When you do it, you think of going beyond the state of mediocrity. The pleasure comes within you and you feel your presence in pleasure. A ‘wow’ word resounds in your heart and memory. It is so awkward to see the practice of the same archaic methods being used in English Language Teaching in Nepal. A ‘chalk and talk method’ has been a common cliché to make criticism on present ELT situation in Nepal. The interception of modern technology is challenging our voyage to the academic world. What if we do not mingle technology with our teaching and learning and find a way-out to make them live and interesting? What if we do not change ourselves and our teaching practices to bring change in our academic world? We would be the losers? In this regard, Prof. Bhattarai speaks: ‘Doubt your beliefs and works, stop and question your practices, may be you were wrong so far, may be you can discover new unexplored areas which can open up new vistas in teaching. Philosophies keep changing and so do teaching principles. You put a question: Is my method of teaching appropriate? Are we following appropriate curriculum, or do we need to stop and rethink over it? All our socio-political values and norms have changed; they are changing so fast, so should not our system of education follow such changes endlessly? Novelty, a paradigm shift, learner or learning centered instruction, multiplicity in methodologies are all the features that we gain in creative instruction, and needless to say these are the postmodern trends in ELT. By postmodern I mean going beyond what we have now or the modernity has brought, and seeking innovation, creativity and criticality to find the unexplored world is the postmodern trend. Are we supposed to be stuck with a unitary method or do we need to integrate different methods to yield better instruction? The question is of multiplicity here. Multiplicity in thought, multiplicity in interpretation and multiplicity in methods and techniques. We need to mingle all from Georgi Lozanov idea of suggestopedia to communicative language teaching in all dimensions. Focusing on a single method may mean inviting a failure to a large extent. Similarly, the incorporation of modern technology demands us to bring cyber world in language instruction. Can we ever think that our language instruction can be complete without using the multimedia in our classroom in this flat world? NO! A big No! In fact, I have been learning these days how some young teachers (not in terms of age but as regards ideas) are different from the teachers with traditional mind-set. They handle their classrooms bringing technology via blogging, virtual classes, webinars and multimedia instruction. Since they comprise audio-visual instruction, the young learners find them gripping and this is how these teachers win the young hearts through their instruction. A giant shift in our thought or methodology is a paradigm shift: a shift from our traditional way of instruction. In these days our job is not simply to teach the students but to make them largely creative by inspiring and leading them to explore their own world so as to be professionally sound in future. Different publications like the leading dailies of Nepal inspire our young learners for their write-ups. Once a week, they have allocated the supplements entitled ‘Classroom’ in The Kathmandu Post, ‘The School Times’ in The Himalayan Times, and ‘Kid’s Corner’ in The Republica. It is to explore their written creativity via different publications. Similarly, for other skills, elocution, extempore, a webinar can be the options. Why don’t we practice them? Why have we teachers remained detached from this sphere? How many of us have helped the children to publish their write-ups or just inspired them to write? Probably many of us have been stuck with the fixed and rigid curriculum and killed the creative power of the children. Writing needs reading, and reading can enable the students to unleash something new but we assume we are unaware of it for long. This is high time we analyzed and knew this fact to have a giant shift in our instruction. For so long, we advocated for the learner-centered instruction treating learner as its focal point. I personally believe that it is faulty to focus merely on learners. We maintained the teacher as a facilitator, guide, mediator and any more terms added while opting for learner-centered but in the meantime, we did not deal ‘how’ and ‘why’ aspects to a large extent which is subtly dealing with learning-centered instruction. Learning-centered means focusing on process and product both. The process leads to the product; therefore, the process has to be taken on board. How can learning be bettered? Why has it to be bettered? These have to be considered. The learner is just a shape that gets molded as per the content that is exposed to him. It’s all learning that has a big role in him to get molded. For this the teacher too has to think more seriously with a kind of novelty. Again here comes creativity. George Bernard Shaw comes with these words: “You see things; and you say, ‘Why?’ But I dream things that never were; and I say, ‘Why not’?” It’s sure the instructor should come the with ‘why-not?’ factor to explore much and bring newness. The ‘why’ factor makes us seek the things that they are in existence and it is simply knowing, and the ‘why-not’ factor makes us explore the things beyond knowing the things in existence. It means walking past knowing to the world of exploration. In language teaching we can explore the new world and make our students explore much. More practically, it can be assisted with the different cyber means. Online virtual classrooms break away from the narrow confinement of formal classroom setting and invite both teacher and students for the discussion of the issues that is raised there. The discussion chain in the virtual classroom demands the learners to be more creative and critical which ultimately makes the learners and their writing adopt reformation. There are so many online virtual classrooms, out of which to me the best ever I have used is www.nicenet.org. Once the account is opened, we receive a class key which is to be distributed to our students. With a help of class key they enter their class and take part in conferencing. This conferencing is basically used to get a discussion thread on any issue. The instructor posts a question and the learners comment or answer the particular question. They also comment on their friends’ answers along with their feedback which demands their critical voyage. The instructor is always with them, and he comments upon students’ answers if needed. This ultimately teaches students to have a feeling of respect as they are required to make some positive remarks on their friends’ writing in a discussion thread. Conferencing, link sharing, having a class schedule and a list of students are the features of an online virtual class. It’s effective for all the levels from teen to adult learners. A blog is an electronic platform where we can post any document that can be reached out to anyone. It is more a free and mini-website with a fixed template. Depending upon the instructor’s need, you can create either a class blog, project blog, teacher’s blog or student’s blog which are for different purposes. To me, class blog and teacher’s blog are so much useful in the field of ELT as the class blog helps us to post our issues of the entire class and similarly, the teacher’s blog supports the teachers to provide notes, slides and hand-outs to his students. Project blogs at times, can be useful to engage learners in developing projects on some sites . It will be more like getting discussion threads as done in Nicenet but for a different purpose. We can also appoint students themselves as editors and subeditors to post their friends’ issues and ask other non-editors to make their comments. www.eblogger.com, www.wordpress.com and www.weebly.com are the best blogging sites used so far. Academic project can be assigned online using some tools like www.zunal.com and www.questgarden.com which has its fixed format called webquests. They comprises introduction at the very beginning followed by tasks, process, and evaluation. Since webquest is a well-arranged set, it seems a perfect tool for assigning some project works to our students. The rubric will help them get the right instruction that can be placed on evaluation obtaining from www.rubistar4teachers.com. Search Engines, the generic are Google, Bing, etc. but the more academic that I use for language instruction is www.twurdy.com which shows the readability of each link. We can simply share the link checking the readability level. It is shown with the symbol of color, like the deep orange is a link having a complex text whereas faint orange is a link having a simple text. Moreover, it shows the age-level too. The social bookmarking site helps us to have a record of each link. It can be termed as our online library since we have a tag to every site, and make a stack. Even other users can have access to our bookmarking if we have made it public. The private sites cannot be browsed by others besides the owner. The best social bookmarking site is www.delcious.com. These all are the sites that I have been using in my classroom. At times I myself feel that the classroom setting has entirely been changed due to its intervention. Now the classroom’s formal setting has been distorted and everything needs redefining and regeneration, a feature of postmodernism. A Creative voyage indeed! 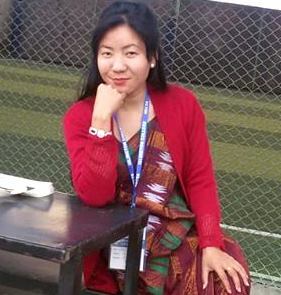 *Sagun Shrestha is an English Faculty at St. Lawrence College. He is currently working in capacity of Program Assistant in English Access Microscholarship Program, Nepal implemented by NELTA in support of American Embassy. It has been more than seventeen years when I began learning English. Today when I am ready to step into the higher level of education, i.e. Master Degree in English education, I have mixed experiences of learning of English. Having chosen M. Ed. for my study, my future career of teaching English further makes me think and rethink on teaching situation. I look back and try to recall from my memory how I began learning English, how my teachers oriented me to the journey of learning English, how I went through the ups and downs in my journey of learning English and how I feel at this stage. Familiar with the paradigm shift in English language teaching in the global scenario, I try to compare the ways I was taught English in those days against the backdrop of new global trends in the field. It is still vivid in my memory when I was admitted to a pre-primary grade popularly known as the sishu class then, now they call it playgroup in private schools. I think my learning of English almost began with learning of my mother tongue. It is because before I was put into a school my father taught me some basic things of English at home. They included English alphabet and some English words. Though formally English started from grade IV, one period per day was allocated for English and we were taught names of some objects then. Today, many government-aided schools are being converted into English medium schools. However, it was not the case then. Being a native speaker of Bajjika, I perceived both Nepali and English as new languages for me and was so curious to learn both of them. My time of learning language was divided into English and Nepali both. Sometimes, Bajjika helped me learn these languages at other times it affected my learning of these two languages badly. At home and in neighborhood, I spoke and heard Bajjika and could hear both Nepali and English only within school premises. The exposure to English and Nepali both was very limited for me. Until grade IV, my teacher taught English, i.e. letters, words, and some simple sentences such as Ram is a boy; Sita is a girl, etc. My teacher spoke each sentence with translation in Nepali but Nepali was also not so familiar to us. So he translated the sentence into Bajjika also. In grade IV, when I could see the textbook I jumped with joy. The book contained some pictures, stories and many more things. It was the first book in English I had ever seen. I had higher regard for English than any other subjects. First day of that course, our class teacher wrote some words with their pronunciation and meaning on the blackboard and we were asked to parrot them. Parroting vocabulary was almost regular. So was the case with most of the subjects. Most teachers would ask us to parrot as homework whatever they taught us. I hardly tried to understand things then. By education, I meant parroting and reproducing before teachers or in exams. The more the students parroted the contents, the more they were rewarded by teachers. Language teaching or let us say English language teaching was also like parroting. I could hardly realize ever that language is a means of communication. My teacher never talked to us in English, my friends never talked to me in English and nor did I. We mugged up English at home and school most of the time because we considered it as a hard subject. Once we were finished with mugging up the vocabulary, the teacher would select the text and would translate it into Nepali and also sometimes into Bajjika, sentence by sentence. This practice of word meaning teaching and translation continued up to grade IX. When I reached grade X, we got a new teacher to teach English. First time in grade X, I studied basic grammar such as article, voice, narration, preposition, tag question, causative verbs, etc. Our teacher gave priority to those things which were likely to be asked in exams and omitted those which were not important for exams. The teacher would tell us “These are VVI questions for exams, so prepare them well”. “Leave those topics, they will not be asked in exams”. I can still recall those days vividly now. We studied to pass exams. All subjects, including English were taught from the examination perspective. I had to appear for practical exam of English during my SLC exam. First time in eleven years of learning English, I came to know that there are four language skills–listening, reading, speaking and writing. I could understand that all language skills are equally important. Alas! I wasted my ten years in memorizing vocabulary, their spelling, pronunciation, meaning, understanding the text, mugging up the questions and their answers and reproducing them in the exam papers. I wish my teacher had opened my eyes in those early stages of my life. I could hardly speak any good sentence in the speaking exam. Similarly, I heard things from the cassette but could hardly understand more than 30 percent. I could understand English as a language only when I joined my Proficiency Certificate Level. On completion of school study, I joined Thakur Ram Multiple Campus, Birgunj for my higher study majoring English. I could see and understand that the teaching and learning of the college was quite different from my school. In the campus, I was taught by five university teachers but I could not be very much satisfied with their way of teaching either. Again there, many of the teachers were exam-oriented and more authoritative in nature. We were not allowed to answer the questions according to our wish. According to them, we had to supply the same answer as given in the book –all words and sentences. Even the medium of instruction was either Nepali or Bhojpuri and sometimes English. Some days later I came to know that many of them were using the same notebooks that they had prepared ten years back. Dictation was the pet technique of most teachers. This shows we had two types of teacher. I do not claim that English language teaching and teachers are the same everywhere. However, I suppose that many of you (especially those who were taught in government aided Nepalese schools) might have faced the situation similar to mine. When I have learnt that English language teaching in the world has seen a lot of changes in theories and practices, I recall those days, the poor state of affairs of teaching English. When I see and read the changes brought in education and ELT by technology, I remember my own poor classrooms with blackboard. When I hear people speak English fluently and eloquently, I recall my teachers’ broken English and its effect upon my own learning of English. When I read others’ beautiful and powerful English, I just curse my own poor English. When I see teachers teaching English involving students in interaction and activities, I recall my own days when teacher hardly allowed us to speak anything in class. I wish I were taught English differently. *Kamlesh Raut is a budding multilingual poet. He writes in Nepali, Bhojpuri, Maithili and English. In this brief blog entry, I have made an attempt to highlight the significance of feedback for language learning. This article presents with the feedback from the theoretical aspects, followed by different types of feedback such as negative feedback, negation and recasts and concludes with awareness for language learning. It is self-evident that language learning is not possible without input or evidence. In the literature on language learning, this evidence is discussed in terms of two categories: positive evidence and negative evidence. Positive evidence refers to “the input and basically comprises the set of well formed sentences to which learners are exposed” (Gass, 2003:225). In other words, well- formed sentences that provide learners with the input are called positive evidence. These sentences are made available to learners from spoken and/or written language. Such sentences provide learners with what is possible in the target language and they are also called models. But positive evidence cannot be a sufficient condition for language learning. Learners should also be made aware of what is not possible in the target language as well. In other words, they need negative evidence in the form of feedback. Feedback comes as a result of interaction. When the learners come up with L2 output, we can see what sort of feedback they need. This interactional feedback is a very important source of knowledge for learners because it provides them with information about what further rules they need to learn. Feedback could be explicit or implicit. Now I would like to briefly present some sorts of feedback that play an important role in L2 teaching learning process. Negative evidence is some kind of input that lets the learner know that his or her utterance is deviant and is unacceptable in the target language. It refers to “the type of information that is provided to learners concerning the incorrectness of an utterance” (Gass, 2003:225). Negative evidence can be explicit in the form of direct correction (e.g., ‘That’s not right’; No, we say……). It can also be implicit (e.g. ‘What did you say?’) in the form of indirect question. On the basis of when negative evidence is provided to the learners, it is of two types: pre-emptive (that occurs before an actual error) or reactive (that occurs after the error has been committed). It is also a way of providing learners with feedback. When learners face communicative difficulties, they struggle to overcome them. It is the joint effort made by the interlocutors. It is defined as “those instances in conversation when participants need to interrupt the flow of the conversation in order for both parties to understand what the conversation is about” (Gass and Selinker, 2009:318). Since the teacher and the students negotiate to understand what is not understood, this is also known as conversational adjustment. In other words, learners come across several difficulties due to their limited L2 knowledge. In this case, the teacher provides them with the scaffolded help to make them understand the L2. The teacher provides them with feedback. This feedback obtained through negotiation serves a corrective function. As negotiation specially focuses on incorrect forms, it is said to serve as a catalyst for language learning, which facilitates L2 development. Negotiation requires both attentiveness and involvement. In other words, for successful language learning, a learner should actively be involved in the negotiation process and s/he should also be attending to the incorrect forms. Non native speaker: what doctor say? Native speaker: what is the doctor saying? In the above example, the native speaker is correcting the non-native speaker implicitly by adding the auxiliary. S: I used to play marbles in the past but now I use to play videogame. T: Now you play videogame. S: Yes, I use to play videogame. So, in many contexts, explicit feedback is relatively more helpful to raise learners’ awareness of what they have done. Similarly, many teachers prefer to provide feedback in the form of negative evidence before an actual error is committed by the learner. This is probably due to their wish to prevent the learners from committing the possible errors. But until and unless learners take part in interaction and commit the actual errors, it cannot be a pertinent feedback. Once the learners’ output exhibits some deviant forms, the teacher comes to know what feedback is relevant in such contexts. So, in my opinion, reactive feedback could be more helpful than pre-emptive feedback. Interactional feedback certainly focuses on learners’ attention on those parts of their language that deviate from the target language norms. It helps them notice the mismatches between the correct target language forms and the forms produced by them. Schmidt (1994) argues that attention is essential to learning. He distinguishes the attention into two types: i) Noticing– It refers to the process of bringing some stimulus into focal attention. For example, when one notices the odd spelling of a new vocabulary item and ii) understanding and awareness– It refers to explicit knowledge: awareness of a rule or generalization (p.18). Through feedback, teachers can help learners be attentive. And through this attention, the learners notice a gap between the target language forms and their own inter-language system. For this reason, language teaching methodologies earlier engaged learners in consciousness raising activities provide direct and explicit means of making learners aware of L2 forms. In other words, feedback makes learners aware of the incorrect forms they have produced. They modify their output on the basis of feedback they receive during interaction. The more learners are made aware of their unacceptable speech, the greater the opportunity for them to make appropriate modifications. Learners’ awareness on any aspect of language (e.g. phonology, morphosyntax, lexicon) could be raised. To conclude, I argue that second language is not simply learned from positive evidence alone. Learners should also be provided with negative evidence which provides them with information about what is not possible in the target language system. Raising the learners’ awareness on different aspects of language leads to better language teaching learning process. *Mr. Joshi teaches at the Department of English Education, Tribhuvan University, Kathmandu, Nepal. He is an executive member of NELTA Central Committee. Gass, S.M. (2003). Input and interaction. In Doughty, C.J. and M. H. Long (eds). The handbook of second language acquisition. Oxford: Blackwell Publishing. Gass, S. M. & L. Selinker. (2009). Second language acquisition: An introductory Course. New York: Routledge. Joshi, K. R. (2012). English Language Teacher Development. Kathmandu: Intellectual’s Book Palace. Mackey, A. (1999). Input, interaction and second language development. Studies in second language acquisition. 21:557-581. Philp, I. (1999). Interaction, noticing and second language acquisition: An examination of learners’ noticing of recasts in task based interaction. Unpublished doctoral dissertation, University of Tasmania. Schmidt, R. (1994). Implicit learning and the cognitive consciousness: of artificial grammars and SLA. In N. Ellis (ed). Implicit and explicit learning of languages. London: Academic Press. For the November issue of Choutari, we would like to share with you a wonderful resource for teaching English to young learners of pre-primary and primary level –http://www.mes-english.com/. The shared link, which requires no registration to access, is very useful for the teachers of young learners in under resourceful context like ours. It offers free downloadable as well as printable flash cards, worksheets, handouts to match, phonics worksheets, projects and lesson plans, ESL games and many other English learning activities for young learners. We hope you would find them more useful and more effective for your classroom.